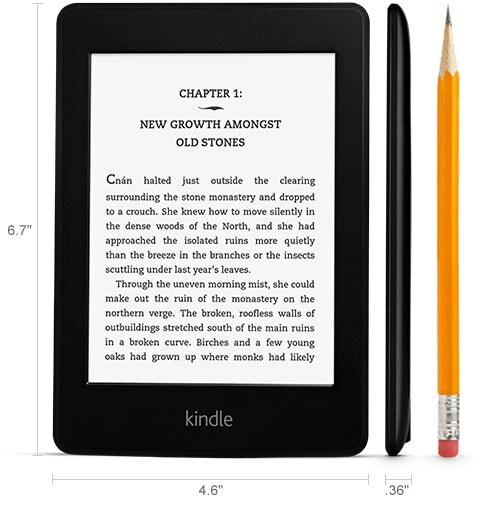 Amazon might not be selling the original Kindle Paperwhite in very many markets but that doesn't mean it's been forgotten. As with all Kindle updates, this update will be sent out automatically to your Kindle Paperwhite when you connect to Wifi or 3G. If you would like to install the update yourself, or if your current firmware is out of date and this needs to be manually updated (a problem suffered by Kindle Touch owners) then you can download the update from the link listed below. Goodreads on KindleConnect with the world’s largest community for readers from your Kindle Paperwhite. See what your friends are reading, share notes, and rate the books you read. To learn more, go to Find and Share Books with Goodreads on Kindle. Cloud CollectionsUse Cloud Collections to organize your content in custom categories. See your collections in a Collections view, and customize where your collections show on your device. To learn more, go to Organize Your Content with Cloud Collections. Smart LookupWhen you look up a word or character, Smart Lookup provides you with dictionary, X-Ray, and Wikipedia information.To learn more, go to Explore Your Book with X-Ray. Vocabulary BuilderWords looked up in the dictionary are automatically added to Vocabulary Builder. View the definition and usage of the words, and quiz yourself with flashcards. To learn more, go to Expand Your Vocabulary. Yay! Cloud collection updates! Does it kill custom fonts too? That’s what has been said, yes. Way to ruin a good ereader! And people want Amazon to ruin the Touch, too. Is it any wonder I’ve switched to Kobo? There appears to be no Goodreads on Kindle for the UK, at least not with my update. Does it have the in-line footnotes from the PW2? That’s the one feature from PW2 that I’m missing in my PW1. The whole footnote mechanism feels very clunky.